We put miles on our odometers — and pounds on our waistlines — to bring you a baker’s dozen of indie operations. Pastry under glass cloches? Check. Chandeliers in bird cages? Check. White subway tile set in black grout? Check. If you know Gallows Group (Banyan, Gallows), you can guess that at its South End pastry shop, food and design are inseparable. Translation: The glistening doughnuts ($3 each) tempt the eyes as much as the appetite. You may be drawn to exotics like lemon honey yogurt or cold brew coconut, but don’t miss Blackbird’s filled creations, specifically, the blueberry white chocolate bismarck (pictured). Because while the doughnuts here straddle the chewy-caky divide, thus splitting the jury, everyone can agree on Blackbird’s enchantingly enlightened fillings. Deliciousness and scarcity make these Thursday-only treats a hot commodity. On Wednesdays, fans stalk Boston Common Coffee on Instagram and Twitter, waiting to see the week’s four selections — one of which is always vegan — that range from old-school Boston cream to anything-but-old-school whiskey peanut brittle (pictured is a strawberry eclair). Pastry chef Julius Johnson hand-makes about 320 of the sought-after creations in all. They sell for $2.55 to $4, and when they’re gone, they’re gone, often by noon that day. The countdown to next week starts the instant you finish this week’s. Call this Taunton spot and you might get a cheerful server who says, “Colonial, the one and onial!” Brothers Mike and Robert George took over the family operation, which opened in 1951, and now Mike’s daughter Danielle Trucchi is on board. 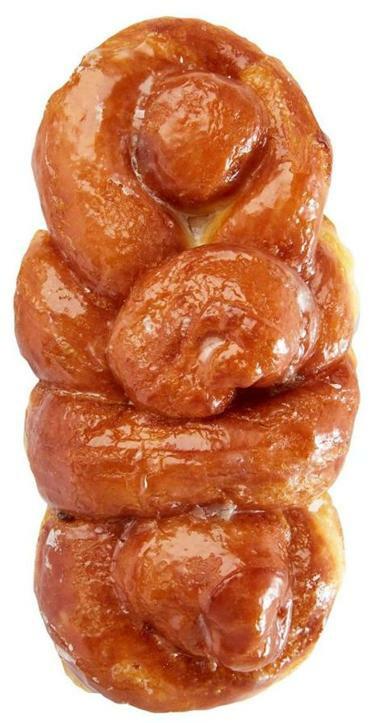 The biggest raised seller is honey-glazed (pictured); cake lovers go for plain, or plain with chocolate or powdered sugar. 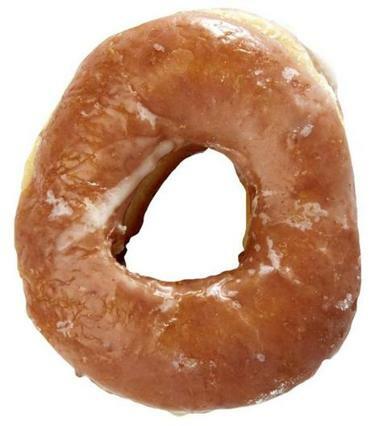 Most sales of doughnuts are for single rounds, which customers eat at one of the 38 counter seats — with coffee, of course. If you sit, you’ll hear (mostly) men of a certain generation with strong opinions about Trump and Tom Brady. Colonial closes at noon, sells out early on Saturdays, and accepts cash only. Lucky you. 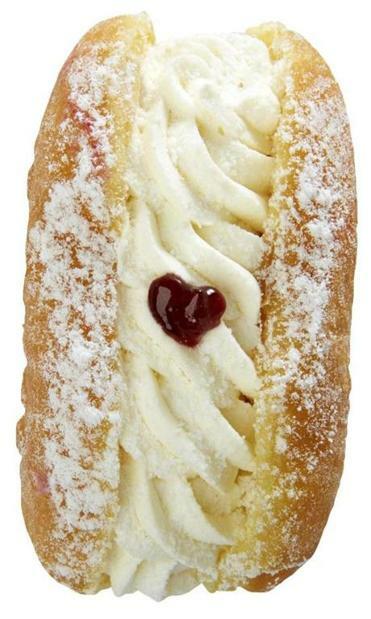 This Salem standby usually stops making its seasonal Polish doughnuts, paczki (pronounced POONCH-key), at Easter. But with the holiday so early this year, they’ll keep making the brioche-like Lenten treat (pictured) for several more weeks. The bakery offers six varieties, including blueberry and cherry, with or without homemade whipped cream ($2.25 to $4.09). Even after the paczki are gone, you can fill up on the signature “real cream” bismarcks (the mini size costs $2.65), specials like peanut butter and jelly ($1.79), or a daily assortment of old favorites ($1.45), including the weightless honey-dipped and a Boston cream with particularly good chocolate. The vibe in this 28-year-old establishment is bright and cheerful and why not? The paczki are here. “Quite simply, a better donut” says the slogan on the boxes, and that’s no idle boast at this off-the-beaten-track treasure on a commercial-industrial strip of Mystic Ave. in Medford. The best-known variety at Demet’s, a family business founded in 1983, is blueberry nugget. 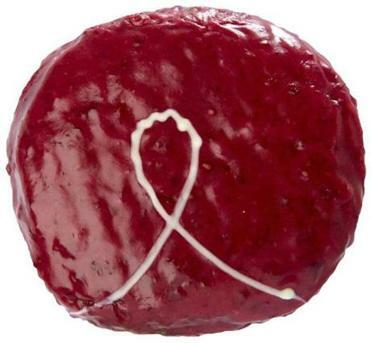 But don’t overlook owner George Koleas’s favorites: the glazed bow tie (“it’s good for sharing”) (pictured), glazed jelly, and the sublime Boston cream that Koleas calls — accurately — “the champagne of donuts.” The wares go for $1.40 each or $12 for a dozen. “Will trade coffee for gossip” reads one sign of many in this bustling 48-seat shop owned by the Wilson family for 24 years. Three generations of Wilsons sell from 200 to 250 dozen each weekend day. 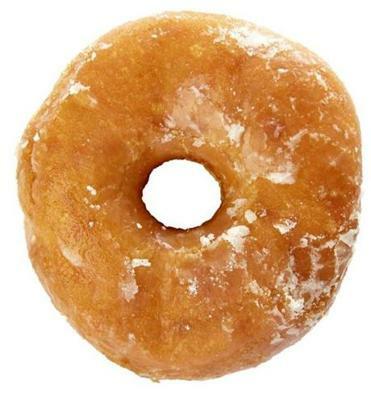 The most popular raised doughnut is honey-dipped, and the top cake doughnut is butternut. 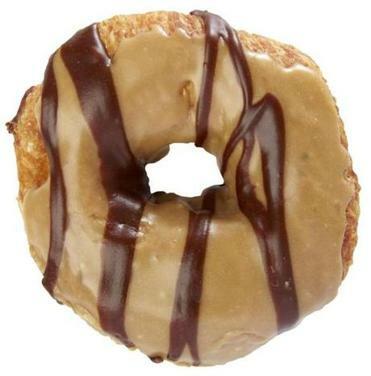 The classic Boston cream pie doughnut is also a winner, as is the plain old-fashioned (pictured) without adornments. And those cheesesteak sandwiches, meatball subs, and other savory favorites you’ll see on display? Look again. 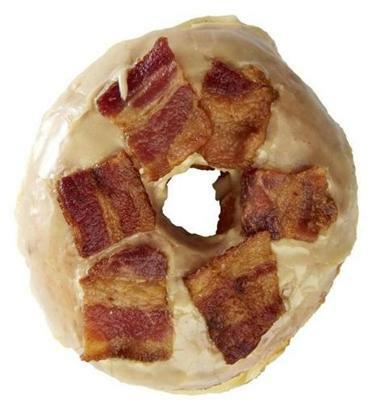 Those are doughnuts, too. On a weekend morning, when 200 dozen are flying out the door, there’s a nonstop line at this Quincy shop, owned for 34 years by Lois Melchione. Counter workers move customers right along, but patiently, since the signs under the doughnuts don’t necessarily match the flavors. Raised honey-dipped are wildly popular, but honey dew, a cake doughnut dipped in honey, is irresistible. 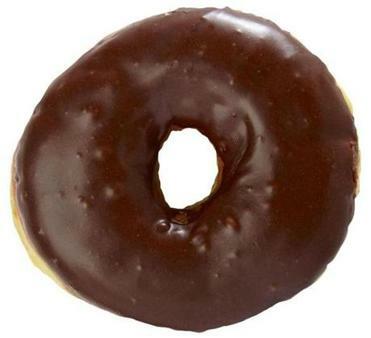 Old-fashioned customers like the old-fashioned, younger ones go for chocolate frosted (pictured) and the ones sprinkled with jimmies, says Melchione. Donut King is close enough to the expressway to fuel the local trades, whose trucks are lined up outside. This no-frills, cash-only joint in Arlington Center has been turning out oversized doughnut masterpieces since 1954. Baking begins at 8 p.m. and continues through the night. It takes that long to produce 25 types of homemade doughnuts (plus giant muffins, croissants, scones, and more). Best bets include the Boston creme stick, the chocolate glazed, the marble cruller, the powdered jelly (wear a bib), and the butternut (pictured) covered in a crunch so heavenly that you’ll wish you could roll in it yourself. Kane’s in Saugus (with a second location in Boston and now a pop-up store in Newton) is arguably the doughnut king of Massachusetts, perhaps even the nation. Why? Maybe it’s because they make everything in-house using primarily local ingredients, like flour from Andover and organic eggs and dairy from Peabody. 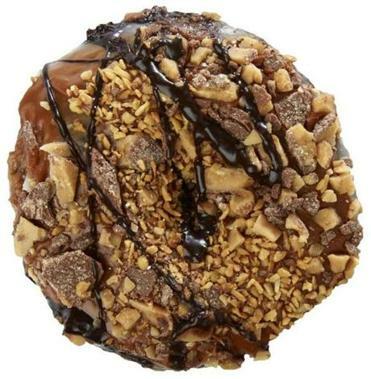 Maybe it’s because classics like the Boston cream, French cruller, honey-dipped chocolate, and cinnamon are right at home next to unexpected delights like creme brulee and a candy-topped turtle doughnut (pictured) big enough to share with a friend. (Also consider splitting the ginormous coffee roll.) Or because they open at 3:30 a.m. in Saugus, so fans can get their fix at almost any time. Most of all, it’s because the Delios clan behind the operation so love their work — and you can taste it. 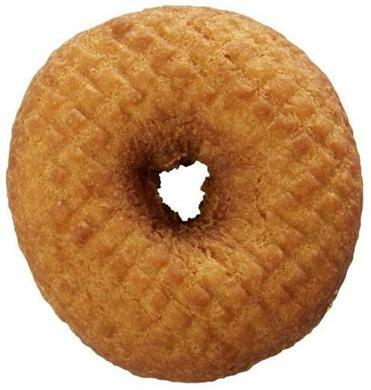 The cases at Ohlin’s may be bursting with cakes, pies, cookies, and pastries, but it’s the chubby, perfectly fried doughnuts that take center stage, especially on busy weekend mornings. 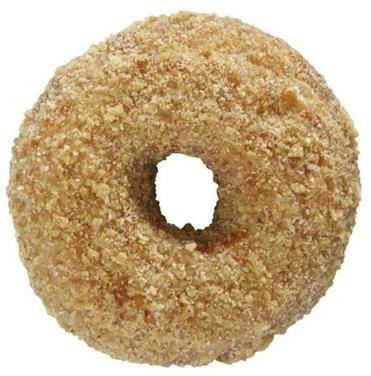 The raised varieties — including glazed and strawberry-frosted or maple-frosted (pictured) — are especially delicious: crispy on the outside, stretchy and custardy on the inside. Other standouts include the old-fashioned blueberry and double chocolate. Ohlin’s also makes the bold and unusual move of serving up two types of buttercrunch: raised and cake. Try ‘em both. You won’t regret it. The Boston Public Market really doesn’t need to post its hours — if you can smell cinnamon wafting from Red Apple Farm’s corner of the building, it’s open. 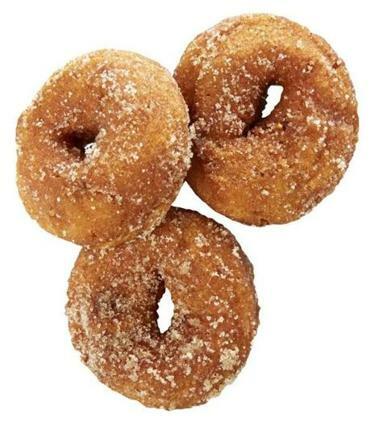 That intoxicating aroma comes from mini cider doughnuts, as many as 10,000 a day made fresh while you watch and served up in a paper sack. If you’re road-tripping, treat yourself at the source of the apples, a family-run orchard in Central Mass. No doubt when local hipsters are craving doughnuts, they bike here. Union Square’s wide-open kitchen showcases a team of bakers in black knit beanies cutting up bacon, mixing dough, and otherwise prepping these amazing gourmet confections throughout the day. Flavors change, but “Premium” offerings ($3.50 each) might include brown butter hazelnut crunch or maple bacon (pictured). “Original” options ($3 each) run from a melty, chewy sea-salted bourbon caramel to a deep, dark chocolate glaze that promises to keep you licking your fingers for the next 20 minutes. And here’s some sweet news: A new pop-up shop just opened in Inman Square. It’s bare bones here down on Mass. Ave. outside of Porter Square, where the ladies of Verna’s crank out 70-plus dozen doughnuts at dawn and often sell out by 9 a.m. Straight-down-the-middle options include buttercrunch, jelly, and chocolate frosted, plus “Honey Tip” (pictured), named after the neighborhood’s most famous pol, Thomas P. O’Neill. Verna’s doughnuts tend toward dense with a crunchy exterior and come with side of local color, thanks to the stripped-down anteroom where local elders gather around folding tables to kibbitz about the weather. Can’t beat the price: $5.75 for a half dozen, $8.99 for a dozen. Contributors: Sheryl Julian, Greg Klee, Marie Morris, Rachel Slade, and Stephanie Tyburski. Send comments to magazine@globe.com.